Ramesses II, also known as Ramesses the Great, ruled Egypt for 66 years in the 13th century BCE. He is remembered for ordering numerous military campaigns to reclaim lands and hold off invasion by Hittites and Syrians and for immortalizing his own achievements in massive building projects all over the country. He is widely considered the most influential leader of ancient Egypt. As a deterrent to invasion from the south, Ramesses II had two imposing monuments built at Abu Simbel on the border with Nubia. 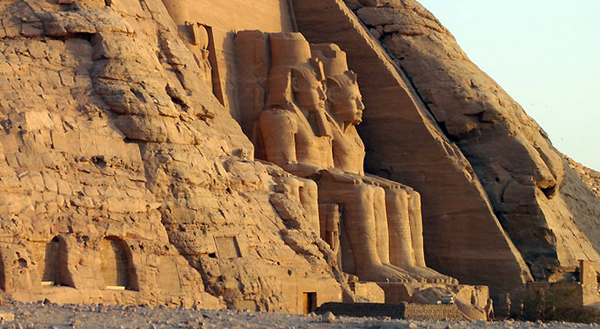 Click to read more about Abu Simbel. The great temple, with a façade of four colossal statues of the seated pharaoh, was originally aligned so that the rays of the rising sun would illuminate the inner sanctuary on two days each year, February 21 and October 21. The dates are often described as the birth and coronation dates of Ramesses II, however it’s more likely the dates were associated with religious festivals. After the Aswan High Dam was built in the 1960s, the temples were taken apart, block-by-block, and reassembled on higher ground, against the backdrop of an artificial mountain. Moving the temples was an incredible feat, but, in the process, the alignment shifted slightly so that the inner sanctuary catches the rising sun one day later, on the 22nd of February and October. 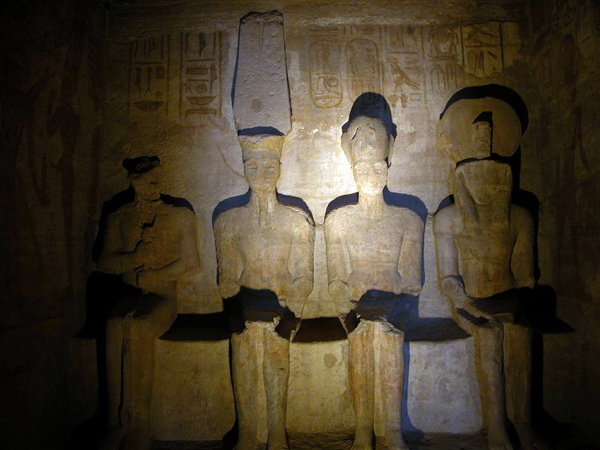 Each year, on February 22 and October 22, the sun’s first rays shine on the gods Ra-Harakhty and Amun Ra and Ramesses II in the inner sanctuary of the great temple at Abu Simbel. The god Ptah remains in the shadows. On these dates, thousands of tourists and locals gather before sunrise to witness the event. There’s music and dancing and a happy, celebratory atmosphere, but it can also be quite chaotic. The inner sanctuary is lit for about 10 minutes and the temple can’t begin to accommodate all visitors at once, so only security officials are allowed inside the temple at sunrise. The illumination inside plays live for the crowds on screens set up outside. 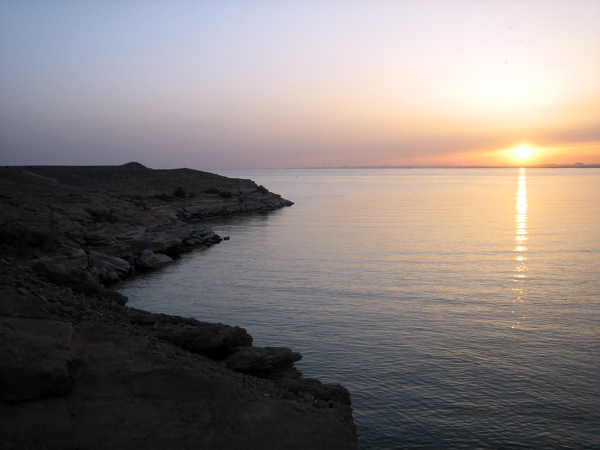 The southern Egyptian city of Aswan is the gateway to Abu Simbel. These days, flight scheduling is unreliable, so most Abu Simbel visitors must go overland in a convoy, a 3-hour drive, one-way. Click to see our tours to Egypt. This entry was posted in Egypt and tagged abu simbel sun festival, Egypt by yalla2013. Bookmark the permalink.